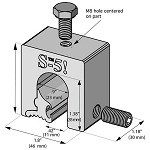 The S-5-Z clamp is specially developed to fit profiles having a round "bulb" seam configuration. Its two-piece design allows it to be easily installed anywhere along the length of the rib. 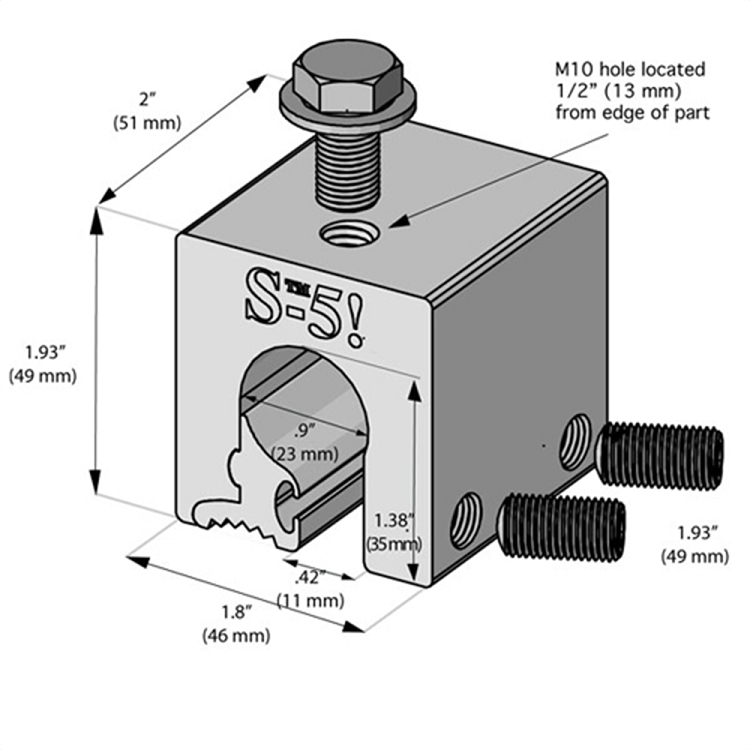 The S-5-Z is perfect for S-5! snow retention products and other heavy-duty applications. 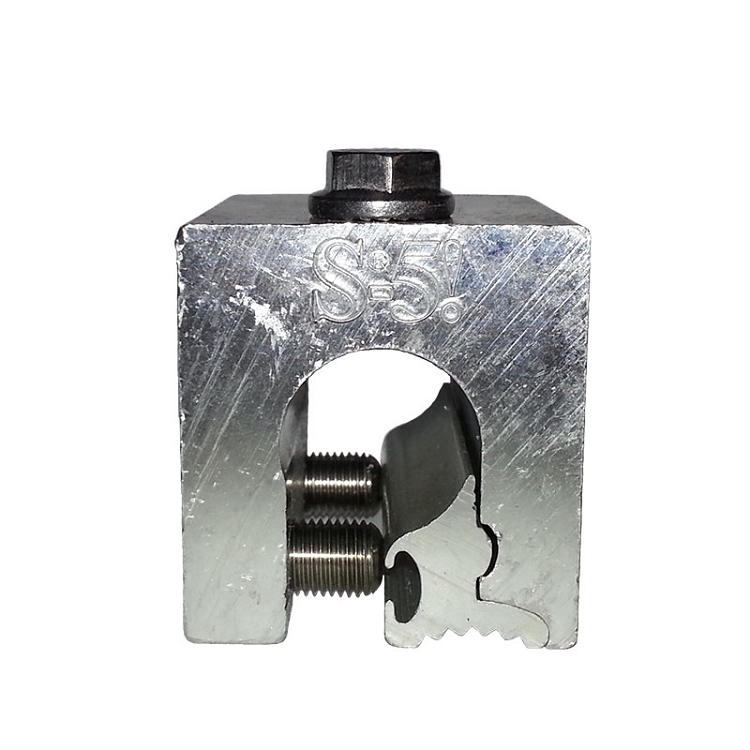 This product is equal to other snow retention cube clamps known as: metal snow guard, clamp-on snow guards, seam mount snow guard, standing seam clamp, pad-style snow guard, metal roof clips, metal roof clamps, metal roof seam clamp, roof clamp, universal clamps, clamp-to-seam bracket, pipe snow guard, clamp to seam snow fence, clamp-to-seam bracket, bar snow fence and snow rail.